(Reuters) - Energy stocks pushed Wall Street higher on Wednesday due to an almost 6-percent jump in oil prices, but many investors stayed on the sidelines a day ahead of the U.S. Federal Reserve's decision on interest rates. The energy index (.SPNY) led a broad rally for the S&P 500 benchmark index (.SPX) with a 2.8 percent increase as crude oil prices settled up 5.7 percent after an unexpected drawdown in U.S. stockpiles. "Energy was what gave it the initial spark and the fact the energy rally kept rolling gave people reassurance they could step into other sectors as well," said Peter Jankovskis, co-chief investment officer at OakBrook Investments LLC in Lisle, Illinois. Trading was relatively thin with only 6.6 billion shares changing hands on U.S. exchanges on Wednesday, below the 8.03 billion daily average for the previous 20 trading days, according to Thomson Reuters data. The Fed is due to announce a decision on Thursday afternoon to either end or extend seven years of near-zero interest rates, potentially relieving markets of months of uncertainty as investors have been trying to predict the timing of a hike. But the market's rise did not indicate any real conviction about what the Fed will decide, said Tom Donino, co-head of trading at FNY Capital Management in New York. "It's either shorts covering, because they don't want to be short tomorrow ahead of the Fed meeting, or it's people that want to be long getting long in front of the Fed," said Donino. "The market's going to be volatile tomorrow." Wall Street's top economists are on unfamiliar ground: as the Federal Reserve decides whether to raise interest rates for the first time in years, they are deeply divided on what will happen. Fed fund futures <0#FF:> see only a 30-percent chance that Janet Yellen and her colleagues will pull the trigger this week. Of the 80 economists polled by Reuters, only 35 said the central bank is likely to raise rates this week. The Dow Jones industrial average (.DJI) closed up 140.1 points, or 0.84 percent, to 16,739.95, the S&P 500 (.SPX) gained 17.22 points, or 0.87 percent, to 1,995.31 and the Nasdaq Composite (.IXIC) added 28.72 points, or 0.59 percent, to 4,889.24. The materials sector (.SPLRCM) was the next best gainer behind energy with an 1.44 percent rise after Glencore PLC (GLEN.L) raised $2.5 billion through a share placement, boosting mining stocks and metals prices. "That put a little bit of backbone behind people who want to start buying these mining stocks here," said FNY's Donino. The S&P's telecommunications index (.SPLRCL), the only sector out of ten in negative territory, fell 0.22 percent. Stocks have been volatile since China devalued its currency in August. The S&P 500 has had moves of at least 1 percent in 12 out of the last 19 sessions. NYSE advancing issues outnumbered decliners 2,358 to 707, for a 3.34-to-1 ratio; on the Nasdaq, 1,753 issues rose and 1,056 fell, for a 1.66-to-1 ratio favoring advancers. 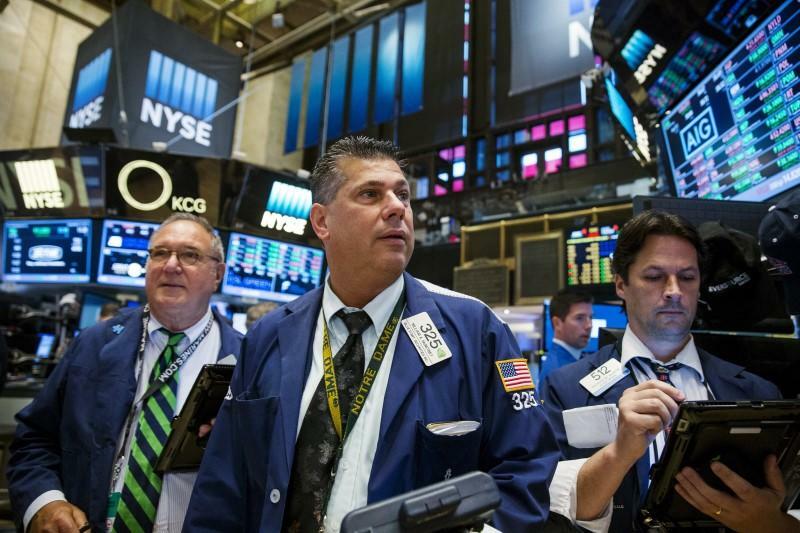 The S&P 500 posted 9 new 52-week highs and 1 low; the Nasdaq recorded 39 new highs and 34 lows.